Francesco LoCastro Show at KR Miami Tonight! 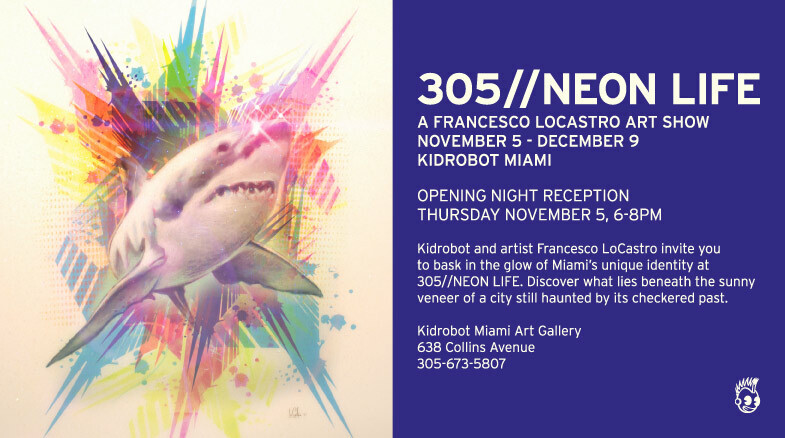 Bask in the glow of Miami’s unique identity at 305//NEON LIFE, the new art show from Italian-born, South Florida-based artist Francesco LoCastro opening at the Kidrobot Miami Art Gallery on November 5. Discover, through this riveting collection of work, what lies beneath the sunny veneer of a city still haunted by its checkered past. 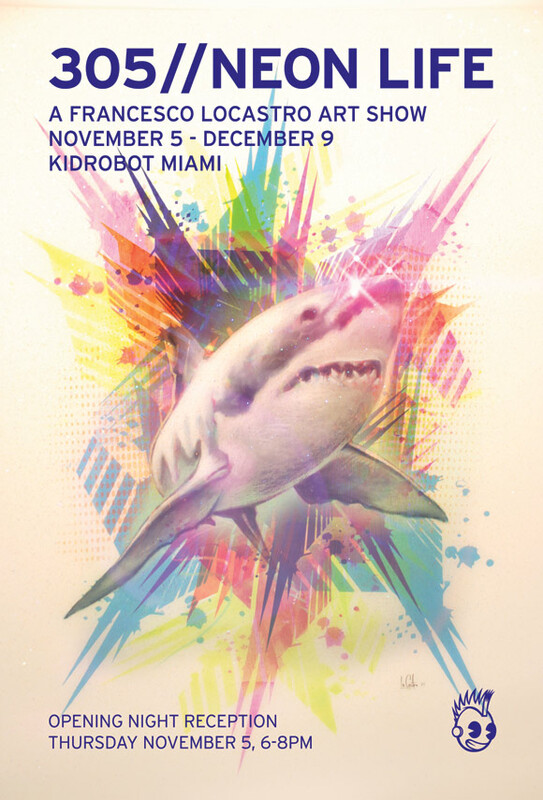 Over the last decade, LoCastro has been a key contributor to the New Contemporary art movement, exhibiting his work throughout the U.S. and Europe and helping to revitalize the Miami art market. He is the founder of Pop Art Studios, co-founder of the Gen Art VANGUARD Fair, and was named one of 100 influential artists to shape the South Florida art scene in the book Miami Contemporary Artists.